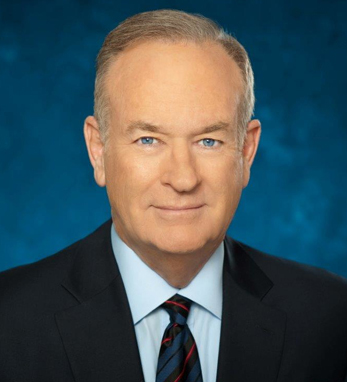 Since the inception of the Fox News Channel in 1996, Bill O’Reilly has served as the anchor for “The O’Reilly Factor,” the most watched cable news program on the air. Born in New York in 1949, Bill grew up on Long Island in the blue-collar Irish suburb of Levittown. His father traces his lineage back to at least the early 18th century in County Cavan, and his mother’s side is from Northern Ireland. Bill recognizes the impact that heritage has on his upbringing and his current ideologies and practices. “My people were Kennedys, McLaughlins and O’Reillys, and because I had that strain going back 80 or 90 years since my people came over, those lessons I was taught as a child made a tremendous impression on me,” he told our partner publication, the Irish Voice, in 2008. O’Reilly later received a Master’s in broadcast journalism from Boston University and since then has been on the air. In 1989, he became the host of “Inside Edition,” before joining Fox for its inaugural season. O’Reilly also holds a Master’s in public administration from Harvard University’s John F. Kennedy School of Government. In addition to anchoring “The O’Reilly Factor,” O’Reilly has published a novel, five works of non-fiction based on his program, one best-selling memoir, A Bold Fresh Piece of Humanity, and a series of well-received works of history, most recently Killing Jesus. All three history books have reached number one on the New York Times Best Sellers list and in 2013 Killing Kennedy was adapted by the History Channel to coincide with the 50th anniversary of the assassination. O’Reilly has a daughter, Madeline (born 1998), and a son, Spencer (born 2003), with his former wife, Maureen E. McPhilmy.